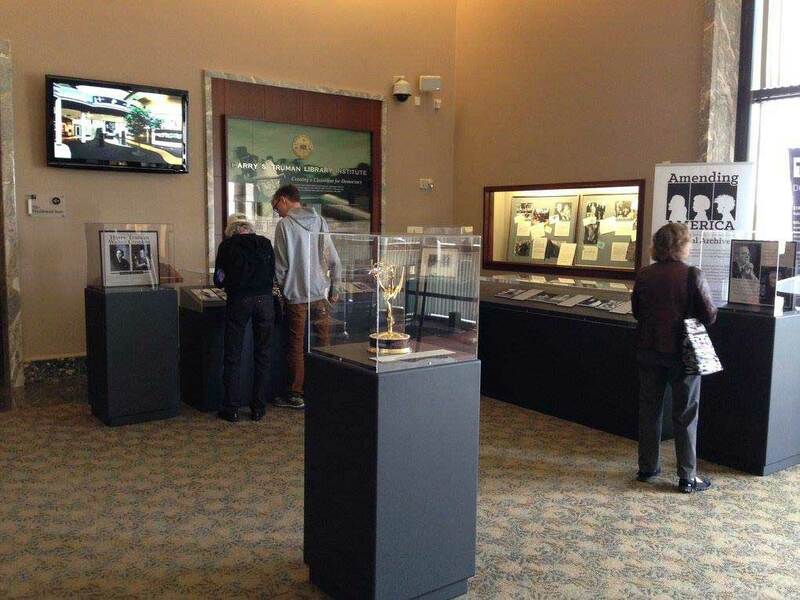 The Truman Library hosted a presentation of “Harry & Walter: Missouri’s Native Sons.” The 25-minute live production, offers a glimpse into the personal and professional lives of two of the most influential figures of the 20th century. 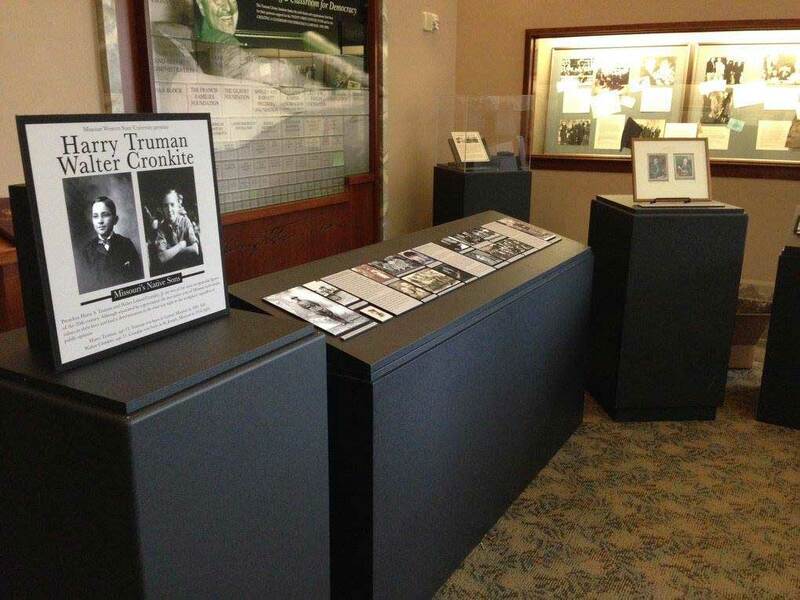 Created as part of the Walter Cronkite Memorial experience, the production chronicles the intersecting lives of Truman and Cronkite, dramatically combining live performance, images and broadcast footage for an immersive audience event. The show was free and open to the public. The Walter Cronkite Memorial was the vision of Dr. Robert Vartabedian, President of Missouri Western State University, to create a fitting memorial to St. Joseph’s beloved native son and one of the most important and trusted voices in our country’s history. 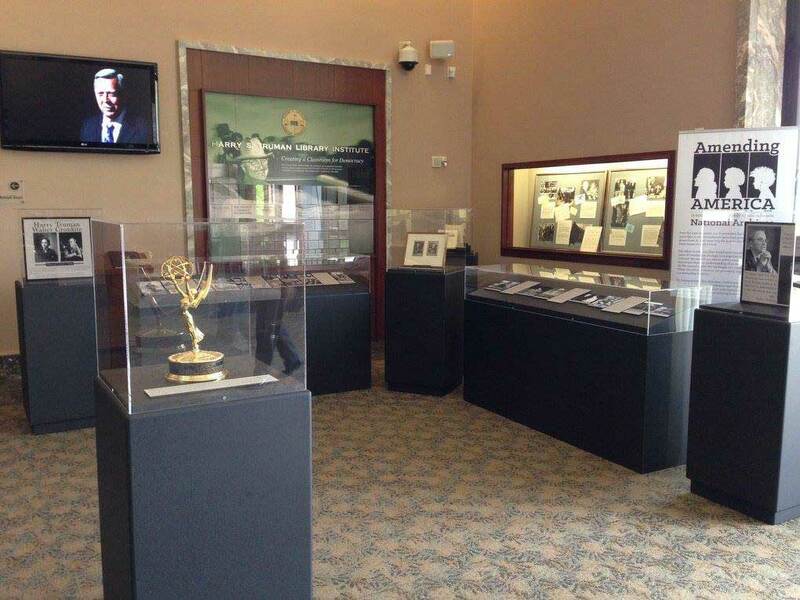 Dr. Vartabedian’s vision was captured by Missouri Western art faculty members Eric Fuson and David Harris, who designed the unique artistic display illustrating Cronkite’s distinguished career with CBS television. This memorial was made possible with funding from the David and Shirley Bradley Endowment. Much like Walter Cronkite, the Bradley family has left a journalistic legacy by bringing the important news of the day to the general public. We are grateful for their many contributions to the St. Joseph community and to Missouri Western State University. Take our quiz and test your knowledge about Walter Cronkite.